Grimes speaks her mind and lays it out – we could all learn a bit from this kind of honesty. 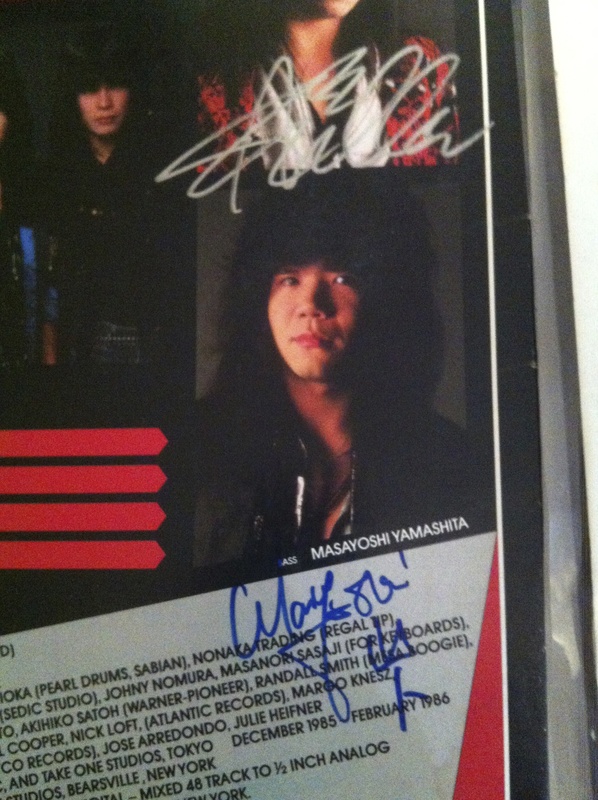 A signed copy of Lightning Strikes by LOUDNESS! 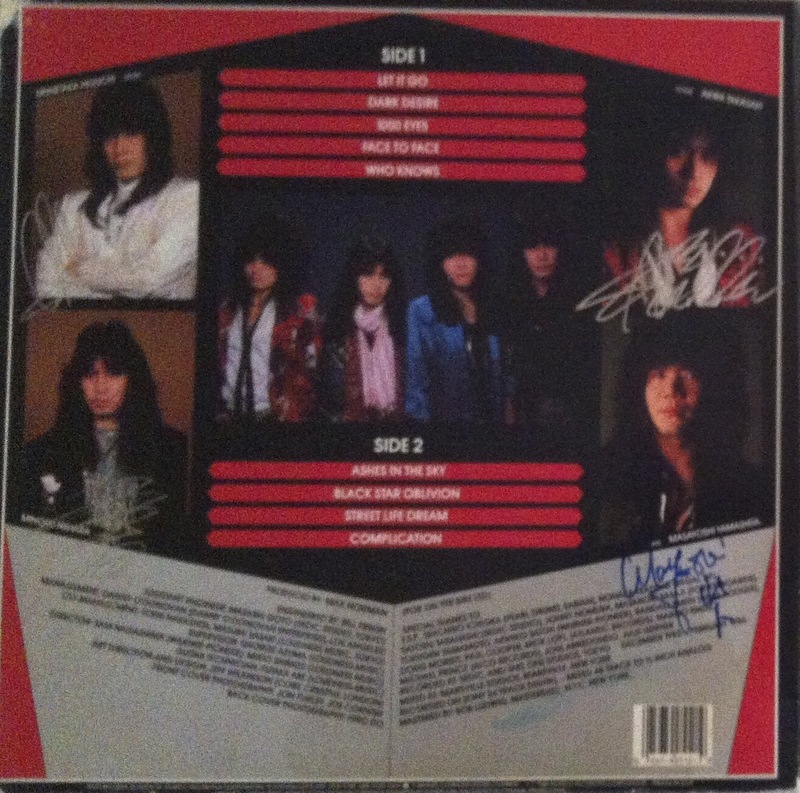 LOUDNESS is a Japanese hair-metal band. I got into them by finding Thunder in the East (1985), Lightning Strikes (1986), and Hurricane Eyes (1987) at the library when I was in high school. Some great stuff, lyrics all in English. The edges of the sleeve are all chewed to hell, so whoever owned this must have listened to it a lot, or at least moved it around a bunch. But the signatures made it worth the $5 I dropped on it. Vinyl does have a certain satisfaction and allure to it that nothing else quite approaches. I have been really excited to find stuff by (for example) Scheer on CD because there were so many 4AD singles when that band was active, but it’s not quite the same. Still, sometimes buying brand new music on vinyl almost feels kind of like a posture. It’s very weird. Reissues feel kind of fake. But I listened to Lightning Strikes on vinyl for the 4 weeks I had it, and then played my cassette copy over and over for about 3 years. Fun stuff. If you’re into Poison, Motley Crue, Dokken, and that ilk, and you’re looking for something “new,” this could be a nice discovery for your collection. An aside: I lived in Japan in Nara prefecture for 5 years from 2006-2011. 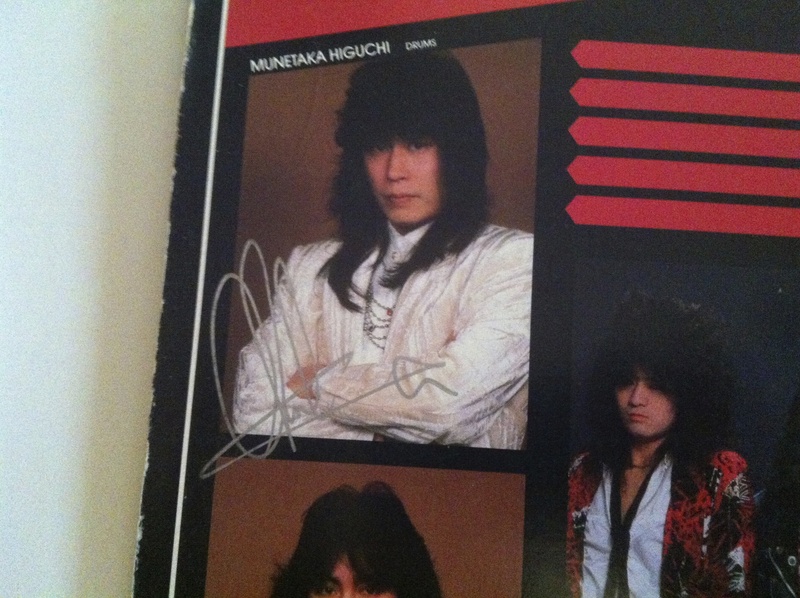 Apparently, the drummer Higuchi Munetaka (RIP, 2008 liver cancer) has family (a grandmother, I believe) from the next village up from where I lived. 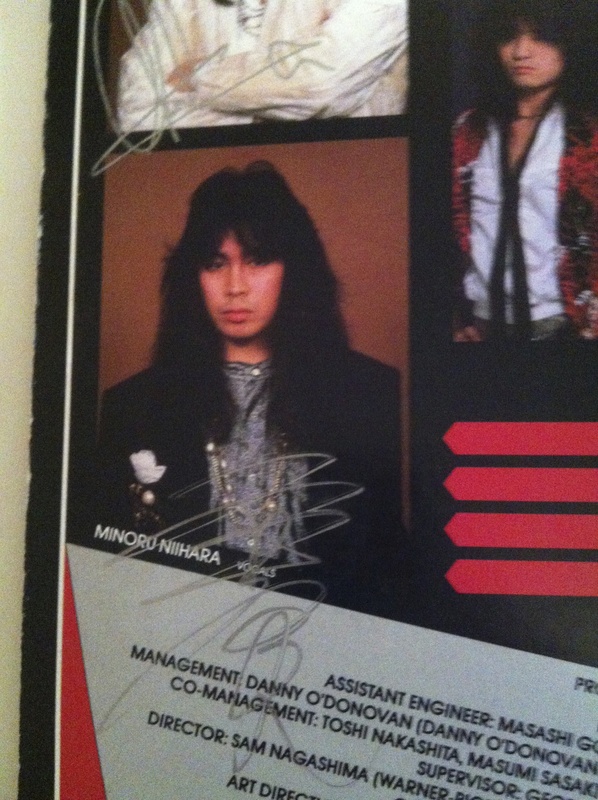 When I was in Fukuoka, I went to Jackie’s Bar, and the owner was friends with the members of LOUDNESS. 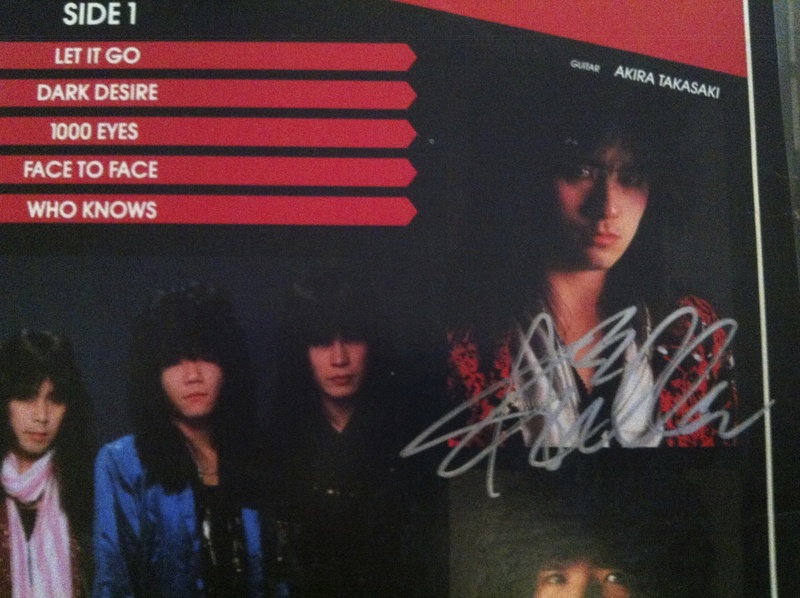 Very cool that I was able to relate to people about this band while I was there, and to have their autographs is very cool. These guys are pretty awesome. I recommend listening you’re at all interested in precocious childlike female vocals, boppy electronica, echoey challenges, tempo changes that keep your grin in place, and if you’d like Sleigh Bells without the distortion and guitars.